Launceston established by Europeans in March 1806 is one of Australia's oldest cities and is home to many historic buildings. 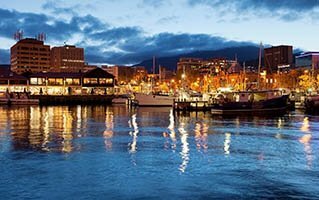 Located in the north of Tasmania it is the second largest city after Hobart. Hertz car rental services in Launceston allows you to commute and move around the city at your own convenience. The fleet of cars owned by Hertz car rental services includes a wide range of hybrid, luxury and sports vehicles to suit all tastes and needs. - Tamar Valley, the place has several wineries on both sides of the Tamar river.